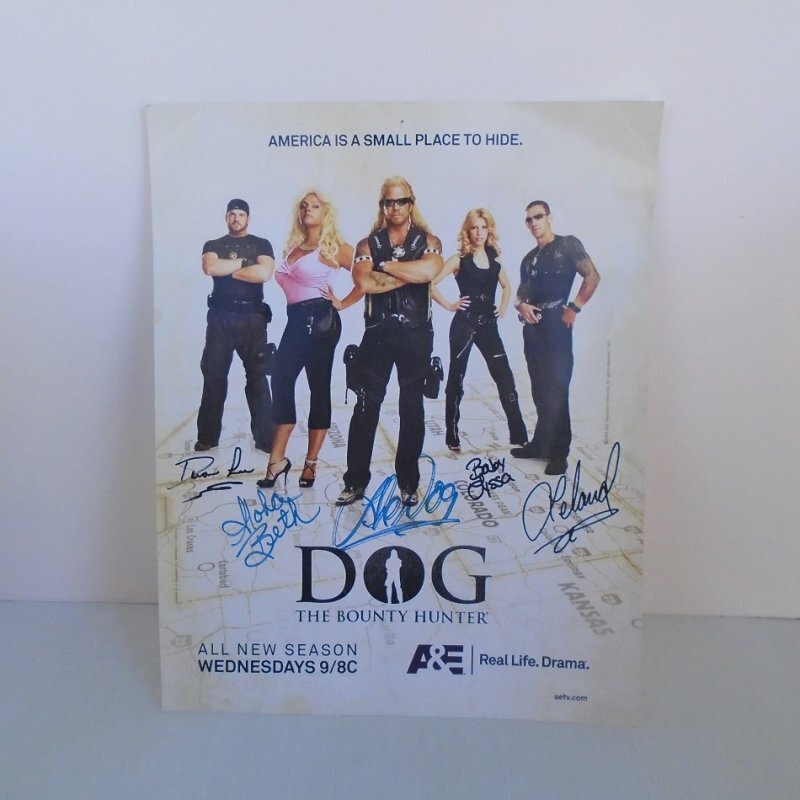 This is an official A&E mini poster advertising the new season for 'Dog The Bounty Hunter" show. It has a copyright date of 2008. The poster measures 8 by 10 inches. 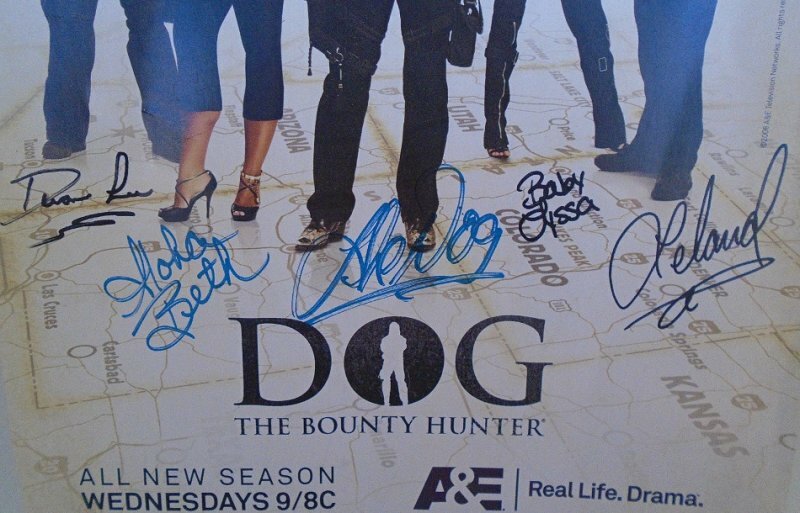 Five cast members have autographed the poster. Pictured left to right are Duane Lee III, Beth, The Dog, Baby Lyssa, and Leland. In my photo you may see what appears to be a yellowish tinge, but that's the color of the background. There are slight upturns at the top corners and the upper right corner has a small bend that has been straightened out. There is one pinhole where the past owner probably tacked it to a wall. That pinhole is at the top center right above the word 'small'. The poster will be mailed protected via First Class Mail from California. The package will be insured and will require a signature for delivery. Since these safeguards are for the protection of us both, I split that cost with the buyer. Buyer to pay $6.95 delivery charges.